How can parents enjoy traveling and make sure everyone gets the most out of the trip? 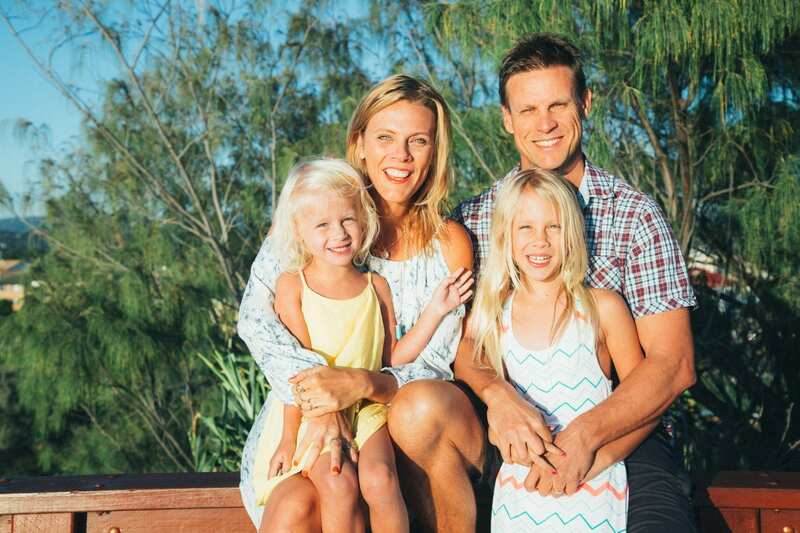 Caz and Craig Makepeace, founders of the Y Travel Blog, know a thing or two about traveling with kids. The Australian couple and their 2 young children, are embarking on a 3-year tour of the United States. During this time, they’ll be living in close quarters either road tripping in their van or staying in hotels. 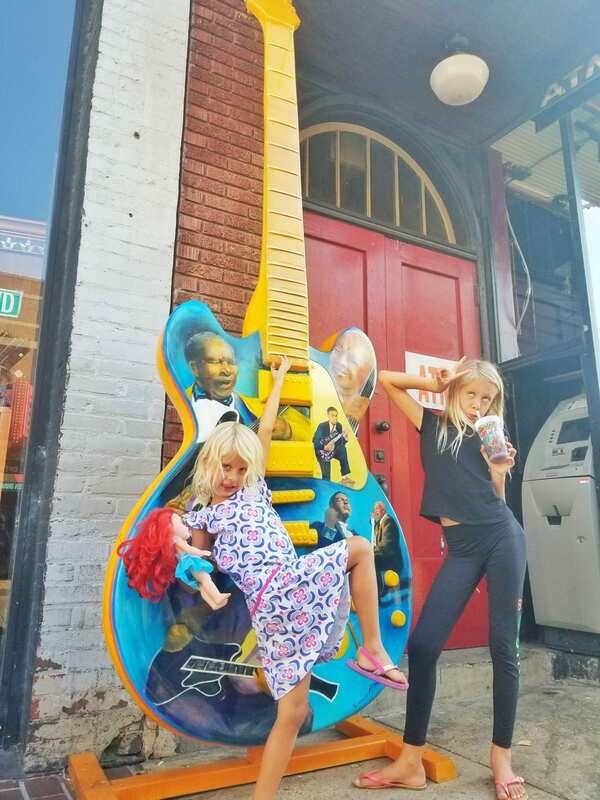 I asked Caroline (aka Caz) a few questions about what brought on this idea of a Unites States tour, why travel is so important for kids, how to get the most out of the vacation and more. Enjoy! Tell me about your “America Unplugged Trip” and what brought on this idea? Well, we traveled around Australia for 18 months and what made that trip so enriching was that we traveled based upon the tips from our community. They shared with us their insider tips and local secrets which really helped shape our journey. We’ve always wanted to road trip across the USA so decided to combine that desire with a concept that we know works well. Travel the country and tell the stories that haven’t been told. I know many of the stories that are shared about the USA involve Las Vegas, Los Angeles, and New York. These are all fantastic destinations but we feel the US has even better. So we decided to call it America Unplugged to get those local tips and unplugged secrets from our community members but also the locals we meet on the ground. It also has another meaning and that is we like to help people unplug from the chaos of life – that is the shoulds, the have to’s and musts – to reconnect to our bliss and live in alignment with our values. This is the other story we love to tell and we think travel is one of the most amazing ways you can do this and create meaningful memories. Why do you feel travel is so important for kids and how have you seen it benefit yours? Travel helps us understand the world around us and our place in it. The earlier we expose children to this, the more chance they have to grow up feeling confident, aware and connected. It helps them tune into what is important but to also learn about their own value systems. It broadens their horizons in so many ways. My eldest has not had much experience with homelessness before, it’s not a big problem in Australia. The other day, she whispered to me tearily that it makes her so sad to see people living on the street with no food, clothing or home. She now wants to do something to help them. This is one example of how travel can touch someone and lead them to greater service. My girls were quite shy before we traveled full time, and they naturally can be for the first five minutes still, but now they easily make friends and interact with people from all walks of life. Differences just aren’t an issue for them. Their confidence and curiosity about life have soared and their ability to learn quickly and make decisions has also enhanced. We homeschool our children and my job as their teacher is quite easy as they learn so much from the travel experiences themselves, I don’t have to do too much instruction. I just let it all unfold. For parents who want to travel more but don’t have a lot of time because of work schedules or a lot of funds to do so, what are some of your quick/affordable ‘family trip’ recommendations? My number one tip is always to travel local. It’s incredible how things can change when you pop on your traveller’s glasses in your local area. It opens up a whole new world of surprises and adventures and it is so much cheaper plus very easy to do with those hectic schedules. Once you start doing that, you’ve kind of greased the old rusty wheel. It starts moving and you suddenly new opportunities arrive for travel. There are so many ways to find deals for travel now. Airbnb is one of our favorite ways to find cheaper accommodation – often at 50% the cost of hotels. Plus, it gives you that more homely and local feel. Don’t forget camping. It’s a wonderful way to reconnect to nature and each other, especially over smores and campfires. It’s also a cheap way to travel. We find road trips the best way to travel with our kids. It’s also cheaper and with limited time helps you to have fun experiences close to home but far enough away to feel like you’re adventuring far. If someone’s kids are a little hesitant about traveling (i.e. experiencing something new and unfamiliar), how can they get them excited about it? Oh, we have a family travel planning toolkit to help with this! I think it’s essential to involve your children in the travel planning from the beginning. If you help them feel like they own it and it’s a huge adventure, they will feel so much more comfortable and excited about the travel. Involve them in the research and have them look over brochures and websites with you. Before we left for our America Unplugged road trip, the girls would help us research, and look at, youtube videos of RV’s, hotels, and different fun experiences they could have. Also, explain what the travel experience will be like. So before you fly explain what the experience is like and how they can prepare for it. Be really excited about the experience yourself and while it’s happening have them participate. They can hand their ticket to the attendant and find their own seats etc. 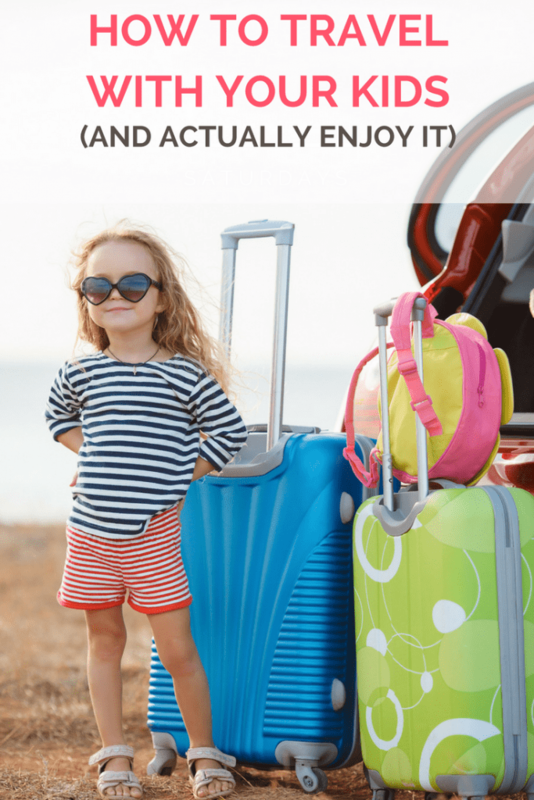 Traveling is fun, but can also be exhausting for both parents and kids! What are your top tips for getting the most out of a vacation and actually being able to enjoy it? Definitely, don’t overdo things. Take it slowly and just hit a few of your highlights. It’s better to travel slow and deep than rushing and skimming the surface. No one will remember anything except how exhausted they feel. I like to experience what a region is famous for. For, example, we’ve spent two weeks in the Nashville and Memphis area. There were opportunities for us to visit museums and zoos, but for me, that is not what this area is known for. Its flavour is music, so we ditched the experiences you can do anywhere for those that are more authentic to the destination. Make sure you schedule in downtime during the day, either for the kids to play at a playground or just rest. And don’t just make it about the kids. You’re on vacation as well, so plan for experiences that you’ll enjoy too. Our top tip for this is to train your children from a young age to love the things you do. Our girls love activities that involve being outdoors: hiking, swimming, kayaking, snorkeling etc. It’s because we love it and have involved them in doing that with us since they were born. Oh yes, this is a tough one! You’ll be traveling with older children though, which is great as you can send them off on their own to give you space!! 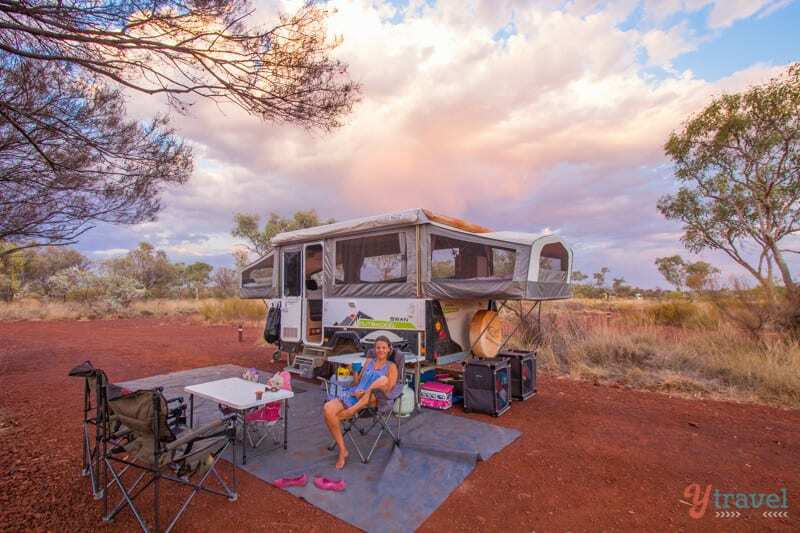 The good thing about the RV lifestyle is that you will be spending a lot of time outdoors which gives you ample opportunity to find your own space and I do find being in nature like that can quickly clear the tense air. Have a lot of cookouts and campfires to avoid being on top of each other during dinner time. Even if you do cook inside you can eat outside. Keep a really well-organized van, especially if you have limited space. Make sure everyone has their own place within the RV for their things. Ensure everyone has a specific job (or more) to help make van life clean, tidy, and pleasant. I’d also talk together as a family about what you can do if someone is feel stressed, frustrated, overwhelmed or just needs time out. I think if you work out a solution together to potential problems before you leave you can avoid many meltdowns as each individual will know what they can do, and what is acceptable to do, immediately. I’d also advise for Moms to have time out to themselves every morning. I would wake before everyone else and leave the van for my own space. I’d go for a walk, or meditate in nature. It was a very calming, grounding way to start the day. I believe that if Moms start the day in this way, the rest of family life tends to go much smoother, because we know Moms are always holding the ship together! Do you have any trips planned this summer that involves traveling with kids? If so, be sure to check out their blog which offers many helpful tips. Caroline Makepeace is the co-founder of ytravelblog.com, one of the world’s biggest travel blogs, with her husband, Craig. They are currently road tripping across the USA with their two daughters to uncover the Unplugged secrets. When not traveling and writing about it, you can find her swinging in a beach hammock at sunset to the tunes of Jack Johnson, or buying another crystal to meditate with at the local market. You can connect with them on YouTube, Instagram and Facebook.